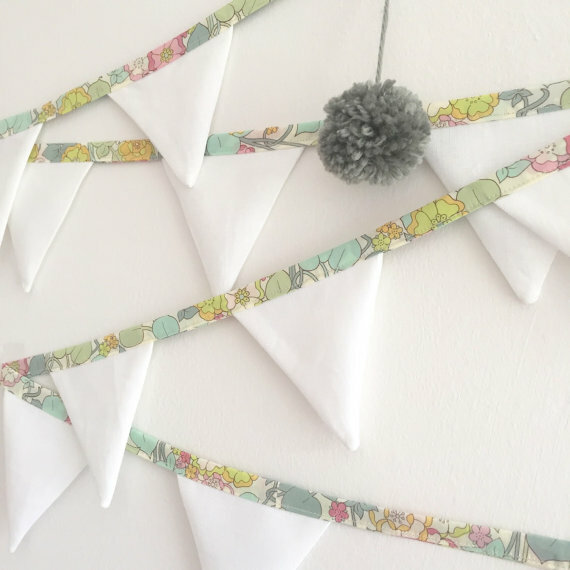 My name’s Katharine Quin and I run a small business making and selling homeware and gifts. It’s called On Raglan Road after a beautiful Irish song written by one of my motherland’s great poets, Patrick Kavanagh. I live and work in East Dulwich with my two loves, my 5 year old daughter Zélie and her dad Mark. What is On Raglan Road and why did you set it up? I’ve been sewing for around 10 years now. I used to run a clothing business when I lived in Dublin and, with a great group of designer/makers, we set up a beautiful shop showcasing a fantastic range of Irish art and design. When I left Ireland I took a break from sewing and went to work in an office thinking it would be the best example for my daughter who was 2 at the time. It turned out I hated it and Zélie was exhausted from long days in nursery. So this time last year I took to the machine again and I haven’t looked back since. 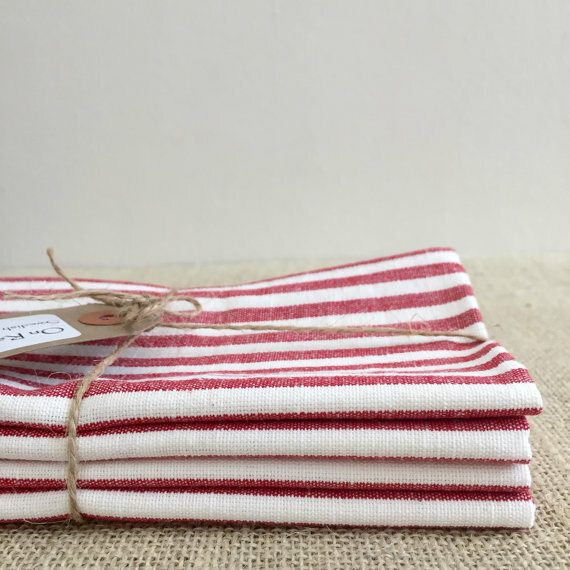 This time, probably because I’m so focussed on home life, instead of making clothes, I started to make things like tea towels, napkins, baby blankets and other accessories. The goal is to make practical products that bring little moments of happiness into the banal everyday and just make life that bit brighter. 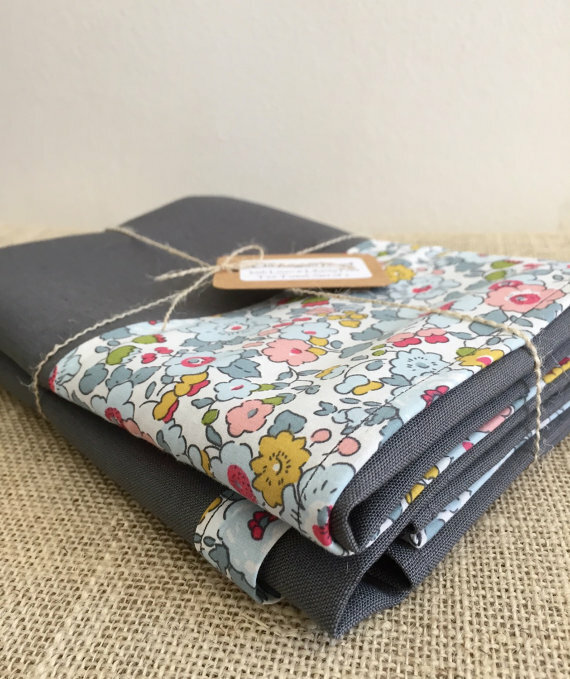 I love pairing Irish linen with Liberty prints to reflect where I’m from and where I live now. 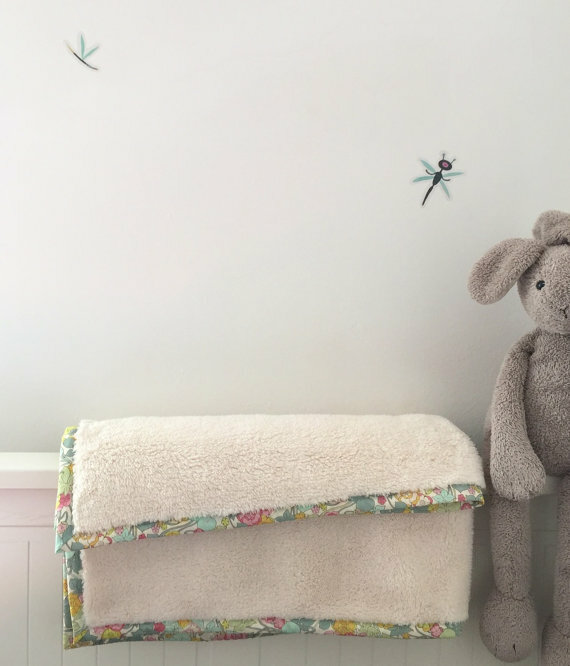 I feel privileged that now is a great time for me to balance work and motherhood without sacrificing either; my daughter started school last September and since then I have plenty of time to concentrate fully on both. I work from home so in the morning, after a little walk to school and a good coffee, I can get straight down to sewing/fabric shopping/trips to the post office or whatever it is that needs to be done. Having the daily deadline of picking Zélie up in the afternoon really works for me too. Before school I just couldn’t have afforded the childcare to give On Raglan Road a go – it just feels like the right time for me now and I’m making the most of it while I can! I doubt I’m in on anything that others don’t already know about! East Dulwich has so much locally, from swimming to the cinema, it’s almost too easy not to venture anywhere else. My daughter loves the Centre for Wildlife Gardening on Marsden Road – it’s a perfect pocket of countryside which holds events for kids where they can go pond-dipping, hunt for bugs, listen to a story or do something crafty. For us, you can’t beat some of the restaurants along Lordship Lane for food and atmosphere – Toasted is still top of my list but we have yet to try all of them! You can find Katharine's shop on Etsy and also on Facebook and Instagram. She is offering 10% off any order quoting 'The Mamahood'.